To make chicken: Melt the butter in a dutch oven set over medium-high heat (I added 1 large, finely chopped shallot and 2 stalks of finely chopped celery to the melted butter and sautéed for about 5 minutes before adding the flour. Because of this addition of the shallot and celery, I increased the butter by 1 Tbsp). Stir in the flour and cook for about 1 minute. Slowly whisk in the broth, a little at a time, letting the roux absorb the liquid and become smooth before adding more. Season with salt and pepper to taste, then add the carrots and squash (broccoli). 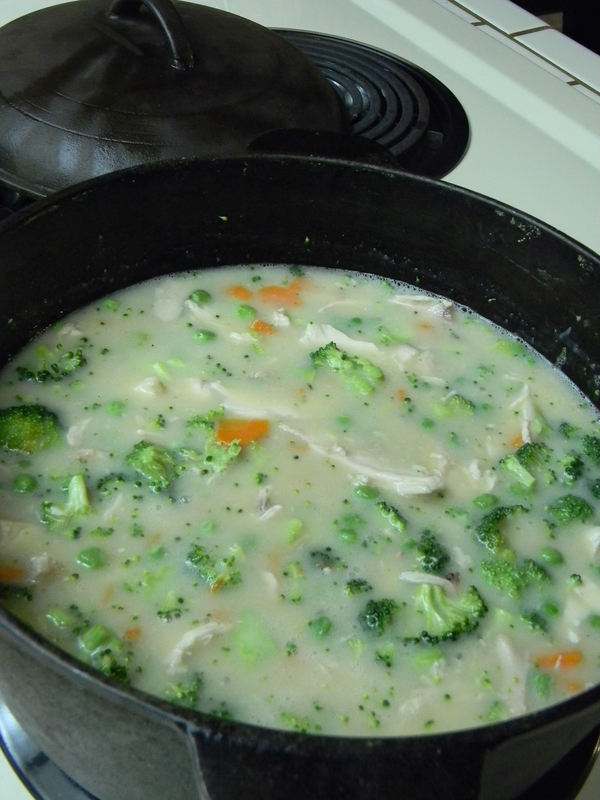 If using uncooked chicken and broccoli or cauliflower, add it now (if using cooked chicken or frozen peas, add it later). Bring mixture to a boil, reduce heat, cover and simmer for 15 minutes while you make the dumplings. 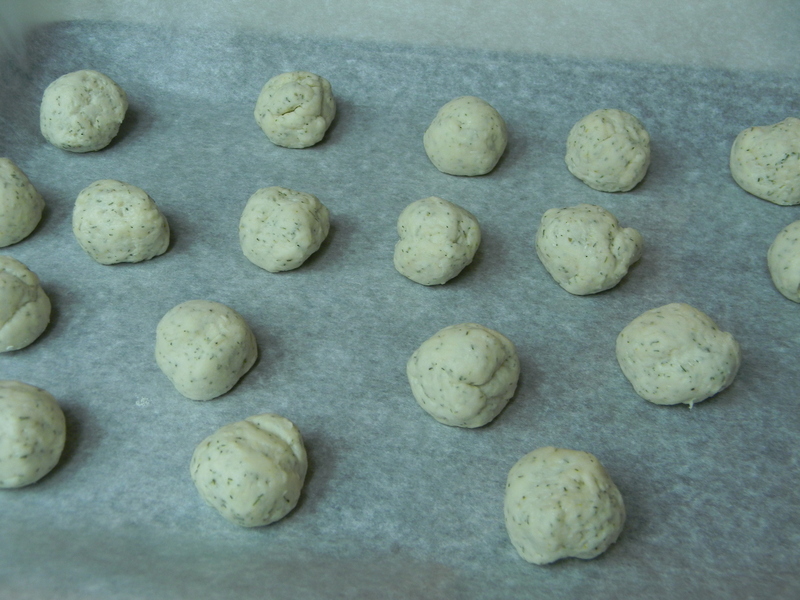 To make dumplings: Place flour, baking powder, salt and herbs, if using, in the bowl of a food processor; pulse to combine. 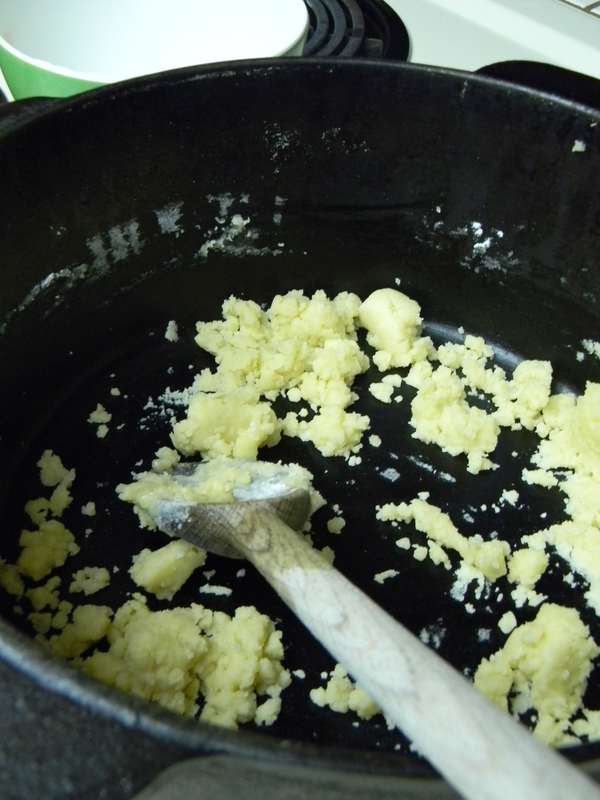 Add butter and pulse until reduced to tiny pieces. Add milk, pulse to combine. Gather dough into a ball and pinch off chunks the size of a golf ball and roll into balls (ok, OCD admission here…because I’m all about uniformity and whatnot, I use a mini ice cream scoop here to portion and shape the dumplings. I like the size (a bit smaller than a golf ball) and uniformity). 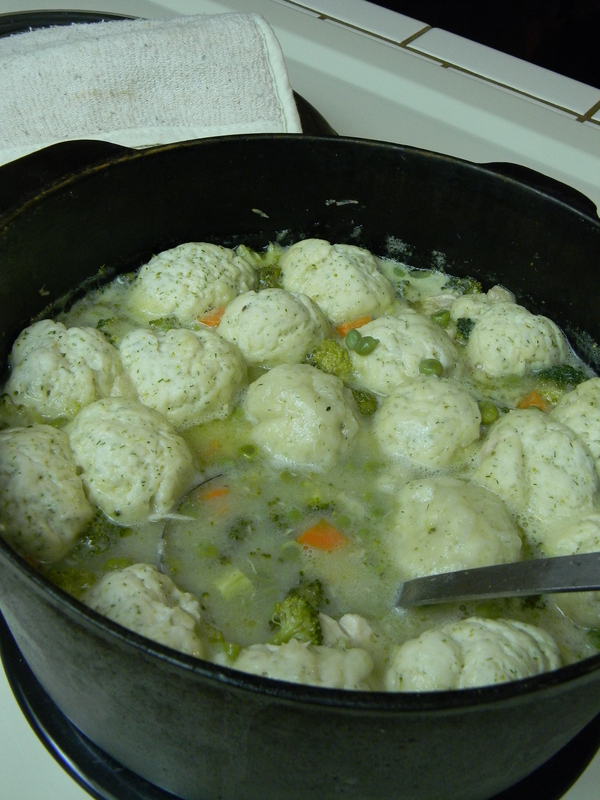 Remove the lid from the pot, stir and then add the dumplings, spacing them evenly. Cover the pot and cook, without peeking (as my co-authors have posted, this is all about “steaming” the dumplings), for 15 minutes or until a knife inserted in the center of a dumpling comes out clean. If using peas and cooked chicken, stir them in now and continue simmering until they’re heated through. Note: Because I use cooked chicken and peas and I don’t want to disturb the lovely dumpling “top,” I add these right before I add the dumplings. Now, for some additional notes: This is a recipe that is easily prepared and frozen. I have prepared this up through the preparation of the chicken and, separately, the dumplings. 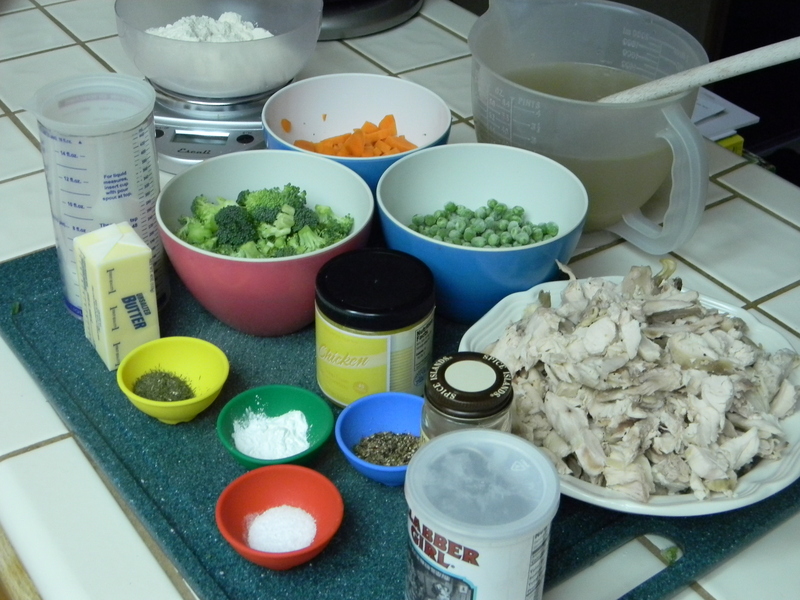 Depending on the number of servings, the chicken can be divided into appropriate freezer containers. Freeze the dumplings on a cookie sheet and then store in a freezer container. When ready to prepare, thaw the chicken mixture and the number of dumplings desired. Re-heat the chicken mixture and, when heated, add the thawed dumplings. Continue cooking, as above. Along with the other invitees to the party, here is the chicken meat picked from the carcass of my recently roasted chicken. The roux begins to come together. As far as I’m concerned, part of the magic is this cast iron dutch oven that belonged to my grandmother. My mom and I figure it is about 75-80 years old! And here we are, all of the bubbly goodness just waiting for the dumplings! …and speaking of those darling little dumplings…here they are! And here we are! The finished product! Oh…and see that little area where it looks like one of the puffy little dumplings is missing? Yeah, that’s where my mom dove in to help serve before I could snap the picture…! Geez, mom! 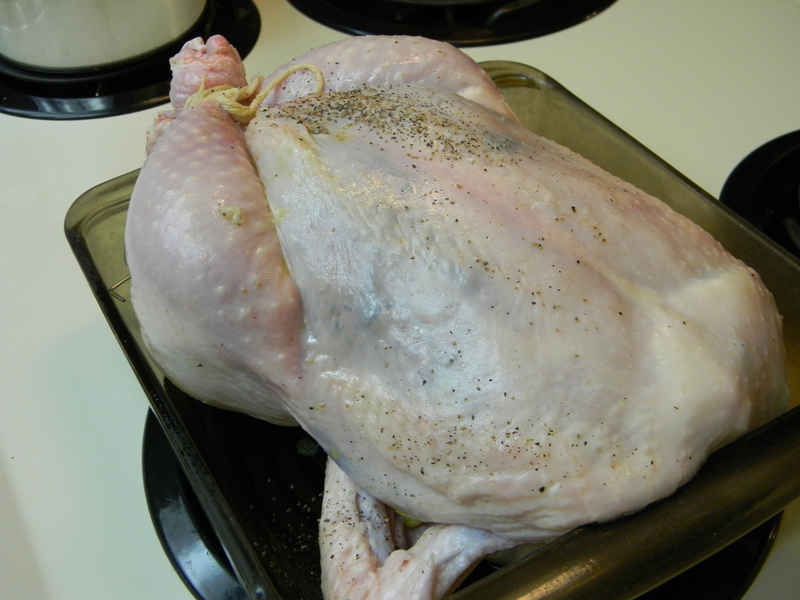 This entry was posted in Challenges, Cooking, Food, Uncategorized and tagged chicken. Bookmark the permalink. I absolutely love the OCD admission! I’ll have to try the dill next time…I love the taste of dill now, too. It took years though….